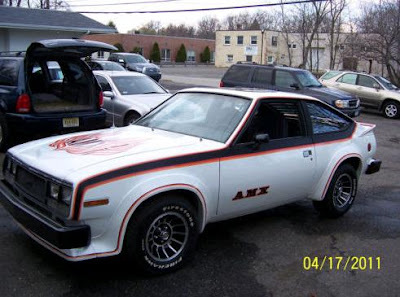 I loved the original AMX. I loved the later AMX option for the Javelin. (I've probably fawned over them and defended them way too many times on this blog.) But this? Such a sad ending to a great name. Aside from the 1970s aesthetics, there isn't anything seriously wrong with this car. The Spirit AMX handled decently for an American car and, when ordered with the optional 304 V8, had all sorts of power. This car has all sorts of power and then some. The 304 has been replaced by a 360. 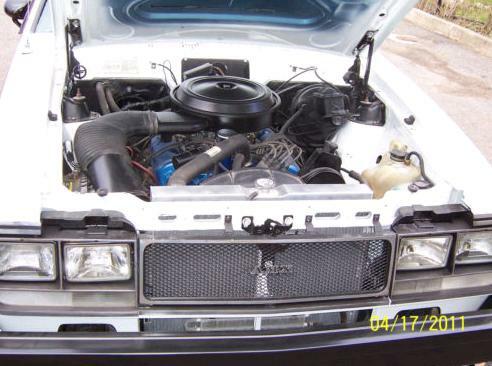 The engine has a mild cam, rebuilt heads, Edelbrock carb and a dual exhaust. If AMC had called this car the Spirit GT, or something like that, I might be more accepting of it. But calling it an AMX? That doesn't fly with me. The AMX and Javelin AMX were special cars. 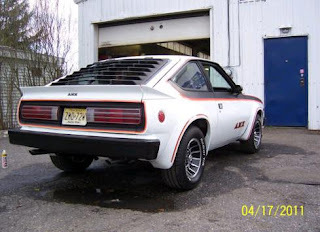 This, while a cool piece of US automotive history, just wasn't special enough to be called an AMX. Located in Midland Park, NJ, click here to see the eBay listing. FYI, that's a Spirit AMX. The Concord AMX was a one-year-only offering in 1978. I got to see a yellow one of these that was so restored it was presented on stands with mirrors underneath. I think that was the AMC owners convention in Houstn TX back in like 01 or so. What a vehicle that looked like it came from its time period. It's a real disco car. Still, despite it comically looking like it has a ripoff of the Firebird "Screaming Eagle" on its hood, I still think it's cool some have existed to 2012 and aren't all at the junkyard. This amx looks too cool! Oooo! I could park it next to my Chevy Monza Mirage and my '78 Mustang Cobra 2 King Cobra in my fantasy garage! My dad currently owns this exact car right now. Bought it off ebay, runs like a charm and sounds fantastic.